Looking for reliable and affordable Computer Repairs, Services and Help in the Bendigo Forward area? Geekmobile is a Friendly, experienced Computer Repair company operating at Bendigo Forward. Our Technicians are of the highest standard and we fully cover Bendigo Forward and the surrounding suburbs including White Hills, Strathdale, Mosquito Creek, Long Gully, Huntly, Flora Hill, Diamond Hill, Bagshot North, Arnold West, Kennington, Huntly North, Axe Creek, Strathfieldsaye, Quarry Hill, Pilchers Bridge, Longlea, Lockwood, Ironbark, East Bendigo, Tarnagulla, Sedgwick, North Bendigo, Myola East, Myola, Murphys Creek, Llanelly and Kimbolton just to name a few! Bendigo Forward is serviced by the techs based in these suburbs and surrounding areas: Braeden (Strathfieldsaye), Guy (Axedale) and Antonio (Ironbark). 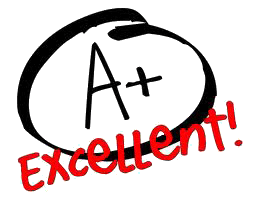 "Sutej was very helpful and fixed my (laptop) to work for my requirements. He explained the problem in terms I could understand. This is the second occasion I have called Geekmobile when I've had a computer problem and I would recommend and use for all computer repairs"